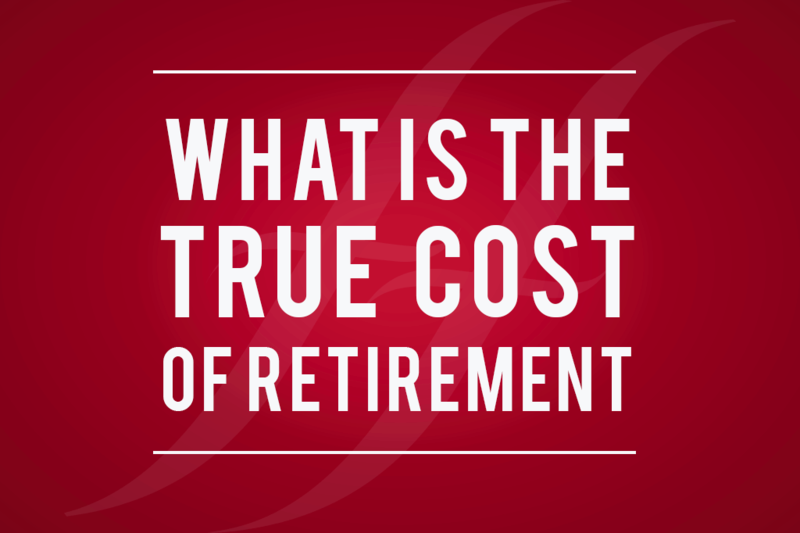 What is the true cost of retirement? We spend all of our working life building up our pension pot. The question is; do we really know how much we need to save to fund our retirements? Last year investment managements firm, Schroders, carried out a survey of 22,000 investors over 30 countries. They wanted to discover more about the respondents’ expected finances in retirement. Schroders set out to compare people’s expected finances and those of people who were already retired. Overall, it became clear that people were underestimating how much they would need to live comfortably. Did you know, the recommended pension pot is from £260,000 to £445,000, on top of the state pension? Globally, 58% of the 22,000 asked wished that they had saved more in retirement, suggesting that over half of us are not sufficiently prepared for our life after work. Those over the age of 55, and not yet retired, believe that they need 66% of their current annual income to live comfortably in retirement. Those who are retired receive just 53%. That is a difference of 13%. Not a great start. When asked, those surveyed said they expected to spend 38% of their annual income on living costs. The reality for retired people is that they are actually spending around 53%. When you consider that those retired are already getting 13% less than they planned for to live comfortably, this is a huge chunk of money. Maybe living the retired life may not end up being all you have dreamed it to be. Currently people in the UK are saving, on average, 12% of their annual income specifically for retirement. From the experience of those who have already retired, we should all be saving at least 14% a year. The head of retirement solutions at Schroder made comment on the findings of the survey. With these figures in mind, along with the stats we shared in our last article, it is clear that there is more we could all be doing to help fund our future. We should be thinking about how we can make our money work for us before and during retirement. Consider whether you should be looking to diversify your investment portfolio. There is often little chance of increasing your income once retired unless you are invested in some form of fund portfolio. So, we have already discovered that most of us are not saving enough for retirement. What is the way forward? You’ll want to make sure that your standard of living doesn’t dramatically drop once you’ve made the choice to fully retire. We’ve said it before, and we’ll say it again: the earlier you start, and the more you save, the better! Everyone needs to take more responsibility for building their pension pots while they can. The auto-enrolment scheme has done a great job at making sure individuals start saving from earlier on. The results from the survey should also encourage us all to inject more into our pots whilst we have the income to do so. There are a lot of factors to take into account when working out how much you need to fund your retirement. Especially as we are all living longer than ever before. As you get older you are likely to need to pay for nursing homes or old age care, things which do not come cheaply. Will these costs be covered if you are getting fixed income for the whole of your retirement? Or will you gradually become worse off? As ever, you should always get advice from an independent Financial Adviser. Face To Face Finance and our sister company Face to Face Estate Planning are on hand to answer all your questions. Get in touch with us today if you are looking for some truly independent and friendly advice.